SummerHouse Carlsbad, Zephyr’s 35-unit beach condo community, offers an ideal location with sweeping views of the ocean and Buena Vista Lagoon, and amenities catering to a variety of ages and desires. Luxury at the beach is finally here. 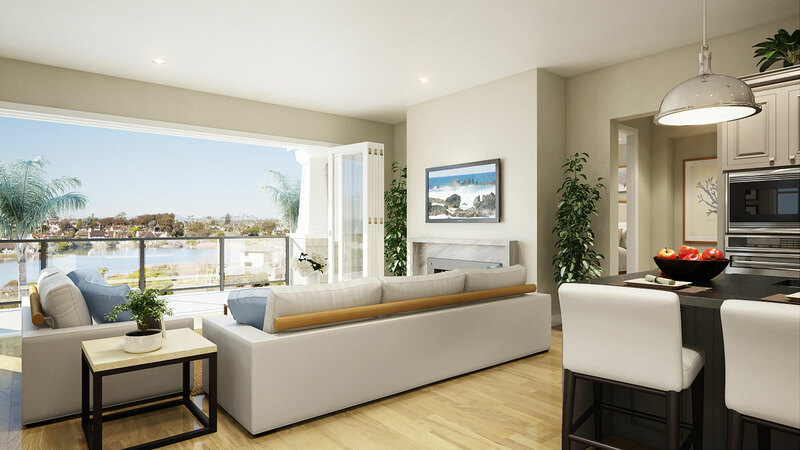 SummerHouse Carlsbad — Zephyr’s new 35-unit luxury beach condo community, boasting direct beach access, sweeping views of the ocean, Buena Vista Lagoon and more — will host its grand opening Aug. 15, 10 a.m. to 5 p.m. Buyers who want to claim their spot in the sand can attend the event at the Sales Center, located at 2303 Ocean St. in Carlsbad. Light refreshments will be served. Perfect for buyers looking for a full-time or second home, SummerHouse’s ideal location and amenities cater to a variety of ages and desires. SummerHouse brings a hospitality model to residential living with a luxurious concierge service that will cut down on planning time and be onsite to perform a range of tasks, such as scheduling a surf lesson or walking the dog. The concierge will also be able to provide kayaks, beach chairs, bicycles and other equipment residents might need. On-site amenities include a pool, fire pits and cabanas, and a fitness center. A full range of recreational options are also nearby, including the ocean for fishing, paddle boarding and water skiing, and Calaveras Park for hiking and mountain biking. And residents can walk to Carlsbad Village, which is full of restaurants, shops and a variety of services. Each of the 35 floor plans, featuring California Coastal architecture, varies from building to building, with eight different styles. The spacious, single-story condominiums range from 1,787 to 2,702 square feet with two bedrooms, two bedrooms with a den, or three bedrooms. Other fine touches include disappearing La Cantina doors on to the large lanais, spacious kitchen islands, top of the line appliances, designer selected cabinets and detailed interior finishes. Each will feature a water view from a large private balcony, and two gated, underground parking spaces are provided for each home. Prices range from $1.3 million to $2.4 million. The community is a half-mile from the Coaster Station and a short ride to downtown San Diego and the Zoo. It is also in close proximity to Palomar Airport. Potential buyers can also visit the Sales Center on Saturdays and Sundays from 11 a.m. to 4 p.m., weather and construction permitting, or call (760) 207-8463 to schedule a private showing. Starting Aug. 16, the Sales Center will be open seven days a week, Monday noon to 5 p.m., and Tuesday through Sunday, 10 a.m. to 5 p.m. For more information and to join the interest list, visit:summerhouse-carlsbad.com.